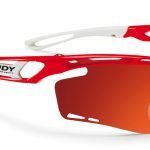 This spring, Ryders Eyewear provided Prologue Cycling Magazine with two pairs of sunglasses for testing and review. We like to make sure we point out that they were received free of charge, as are many of our test products. This in no way influences the reviews as we do our best to remain neutral to provide readers with accurate and honest information. Sunglasses are first and formost supposed to protect your eyes from, well, the sun. According to Ryders, all of their lenses are designed to block 100% of UVA, UBA, UVC, and blue light to 400nm. It is going to happen, if you ride a bike, you are going to wreck. Road rash, broken collar bones, and concussions, they all are a risk when riding and racing. With all that carnage, the last thing you need in a wreck is shards of plastic driven into the dark recesses of your brain. Luckily, Ryder lenses are made from polycarbonate, a thermoplastic that is used in a wide range of applications from bulletproof glass to astronauts’ helmets. Polycarbonate provides a high impact resistance and, in the event the lenses do break, they are shatterproof. 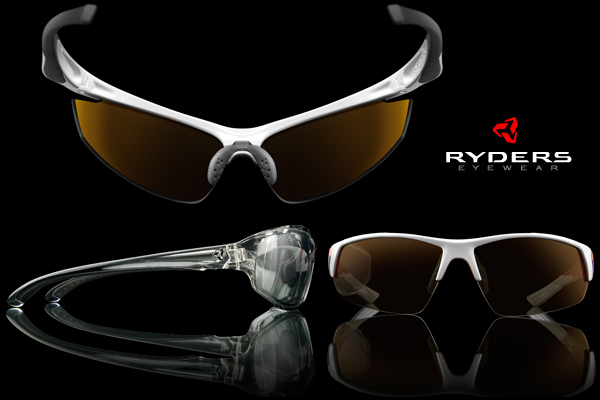 Ryder injects the polycarbonate into molds that are designed to eliminate distortion in the lenses. The less distortion in your lenses, the more visual comfort you should experience. No matter how careful you are with your lenses, something is eventually going to rake across your lenses. I bought a pair of gas station sunglasses a couple years back on my way to ride because I had forgotten my glasses at home. I slipped them into the pockets of my gym shorts after I paid for them and headed to the car. Apparently though, the soft cotton shorts were way too much for the twelve dollar lenses to handle and upon pulling them out of my pocket (which had nothing else in them) I found the lenses had somehow managed to become scratched across the field of vision. This was my first lesson in the importance of scratch resistant lenses. Ryders lenses all contain a scratch resistant coating to help reduce the risk of accidentally scuffing up your lenses. You are probably not going to be able to slide down the pavement on your face and expect them to be scratch free, but at least you can feel confident that minor surface contact will not ruin your lenses. 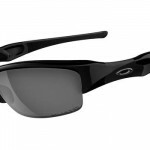 The polarized lenses function exactly as they are supposed to, they soak up glare off of the road and other objects. There are many opinions out there on wearing polarized lenses for cycling but we feel that their biggest strength lies in the fact that they do a great job of reducing eye-strain on sunny days. We find ourselves squinting less when we wear our polarized lenses and our eyes don’t feel as tired and worn out at the end of long rides. I was not sure what to expect from Ryder’s lenses as I had never worn any of their frames before. I must say, since I am used to Oakley lenses with their well known performance and premium price tag, I was expecting a noticeable downgrade with these sunglasses as they are priced at a fraction of the cost of Oakley frames. Once I put these glasses on though, it was clear that the lenses were very well made. The clarity was on par with more expensive brands with a bright visual field and a nice crisp image. The Strider glasses are extremely comfortable; the nose pads and ear pieces provide a snug fit without over-compressing the nose and the temple area. The pads are also hydrophobic which really comes in handy on hot rides. The frames have no problem staying in place when sweat is added into the mix. As mentioned before, their light weight makes them disappear while you are wearing them. They fit nicely below the helmet and close against the face. The Strider has a sleek looking frame with a race style feel to them. Their color combinations are great, providing plenty of choices to match a plethora of team kits. The second pair of sunglasses I tried out was the matte black Hijack with yellow photochromic lenses. Coming in at just 2 grams more than the Strider frames, these are another lightweight option for riders. The Hijacks benefit from the same lens technology, padding, and optics as the Strider. 1. Ambient air temperature will affect how light or dark the lenses can get and also will affect the speed of the tint change. 2. Over time, the ability to lighten and darken diminishes; the photochromic molecules will wear out with use and have a general life expectancy of about 2 years. 3. You should not use photochromic lenses while driving as they respond to UV, not visual light; since your vehicle glass blocks almost 100% of UV rays, the lenses will not darken well inside the vehicle. I have found my two favorite uses for the Hijack photochromic lenses are on wooded mountain bike rides with varying light conditions and on evening rides where I know I will be starting in sunny conditions and ending after sunset. Even in the dark I want something protecting my eyes from bugs and debris, the photochromic lenses do a great job of providing sun protection in the fading daylight while allowing my eyes to stay protected in the dark. 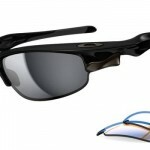 If you plan on riding in your lenses at night I would opt for the lightest shade lenses offered. On partly cloudy days, of which we have had plenty this spring with all the pop-up showers and storms, the lenses are great to handle the periods of clear skies followed by cloudy conditions. The Ryders photochromic lenses performed well in various riding conditions. These glasses are every bit as comfortable as the Strider frame. Both frames benefit greatly from their adjustable nose pieces which can be pinched tighter or easily widened to fit your face better and more comfortably. The Hijacks have a bit more casual feel when compared to the Striders but still provide plenty of style and function. 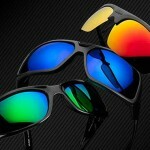 Ryders Eyewear is making some great quality sunglasses that rival some of the better-known brands out there. Both pairs of sunglasses performed well in their intended conditions, were comfortable, and well designed. The nose-pieces and temple pads were some of our favorite amongst the many pairs of sunglasses we have tried. They are easily adjustable and more permanently affixed than our Oakley pads (whose nose pads we tend to discover missing on occasion) but they are still replaceable if the need arises. They both standout when it comes to lightweight yet sturdy design. The optics are clear and crisp in both lenses we tested. Each of the frames come with various lens options as well as options for polarized, photochromic, and polarphoto lenses which combine both polarized and photochromic technology in one lens. 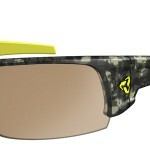 Each frame comes in models with interchangeable lenses as well. I highly recommend this option, especially for those who buy the photochromic lenses as you will be able to replace the lenses when the photochromic performance starts to fade without having to buy a whole new frame. Both of the frames we tested are a great value. At 79.00 for the Strider Polarized and 69.99 for the the Hijack Photochromics, these sunglasses are a must try for anyone looking for a great pair of sunglasses for riding and racing. The technology that goes into these glasses, and their subsequent performance, make it hard to validate spending 2-3 times the amount of money on other brands’ sunglasses without at least trying these out first and if you trash or lose them, you won’t be out a week’s pay to replace them! In addition to the two models we tested, Ryders offers many other styles of sunglasses, enough to find a pair that suits your style and performance needs. 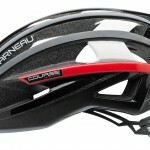 I would not hesitate to recommend these sunglasses for cycling or everyday use. Matt Maher, M.Ed. Matt has participated competitively in many sports and enjoys almost any athletic pursuit but his true passion is cycling. Since his introduction to cycling in 2004, Matt has dedicated himself to the sport. Team Director for Prologue Racing, he is also a member of their category 2 race team. Matt serves as Race Director for the Tour of Kansas City and Prologue Cyclocross. He also is the Ride Director for The Jack-Cass Century and The Missouri Bicycle and Pedestrian Federation's BikeMO ride. Matt is also a co-founder and Co-Director for the Freedom Ride and runs Prologue Cycling Magazine.